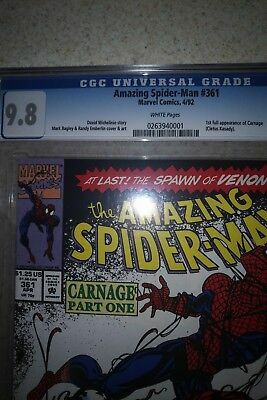 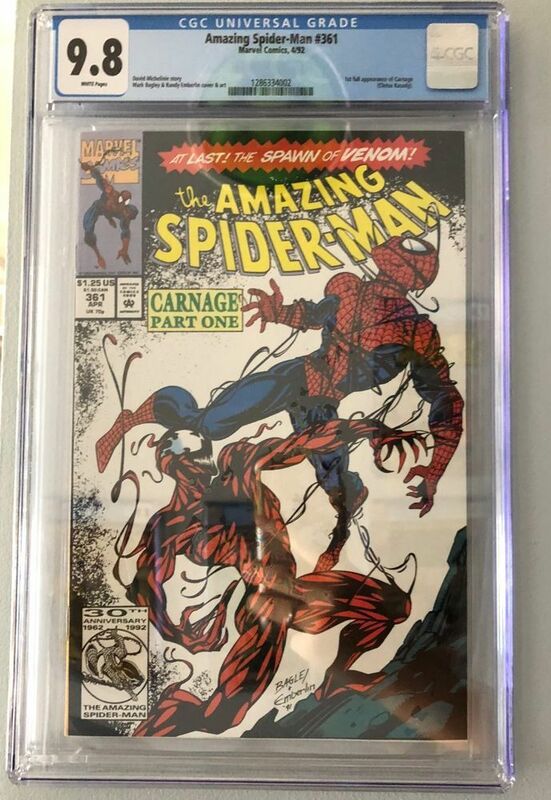 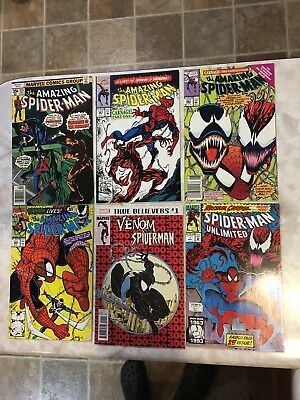 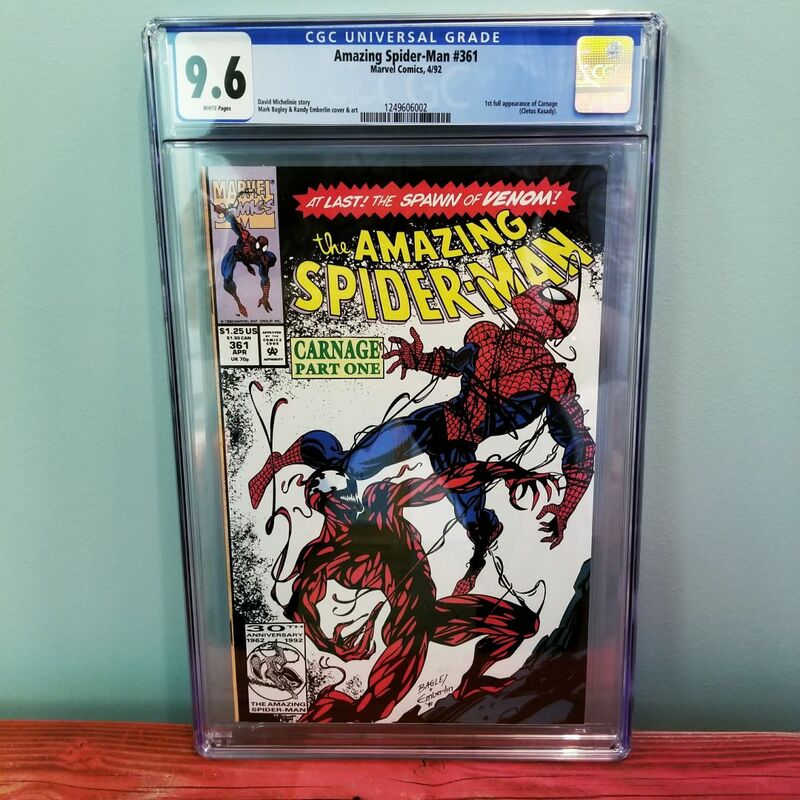 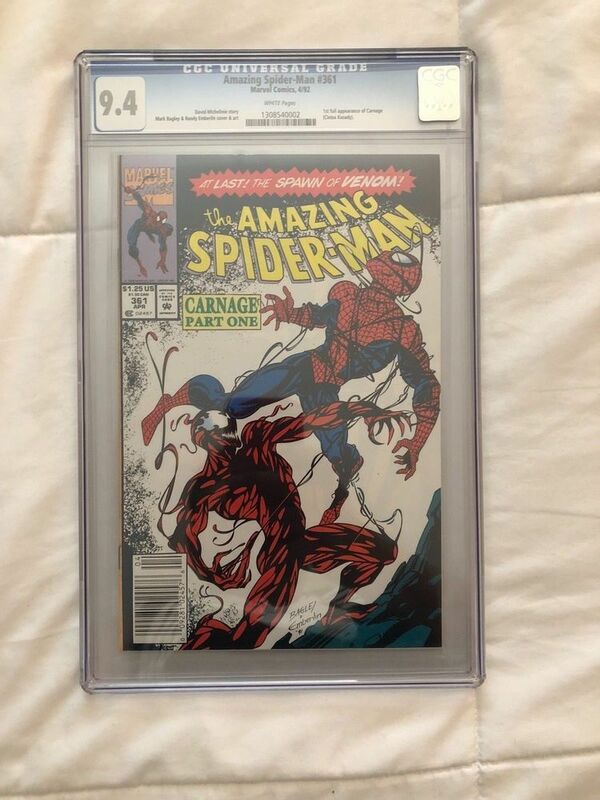 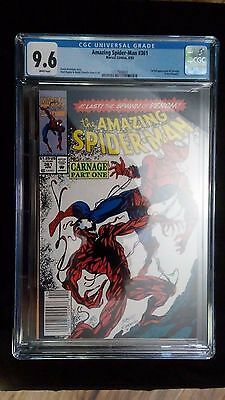 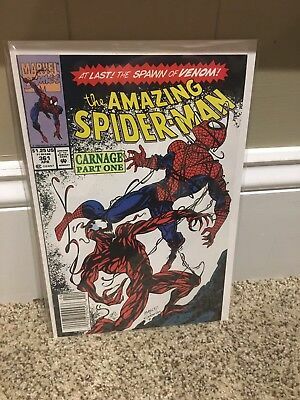 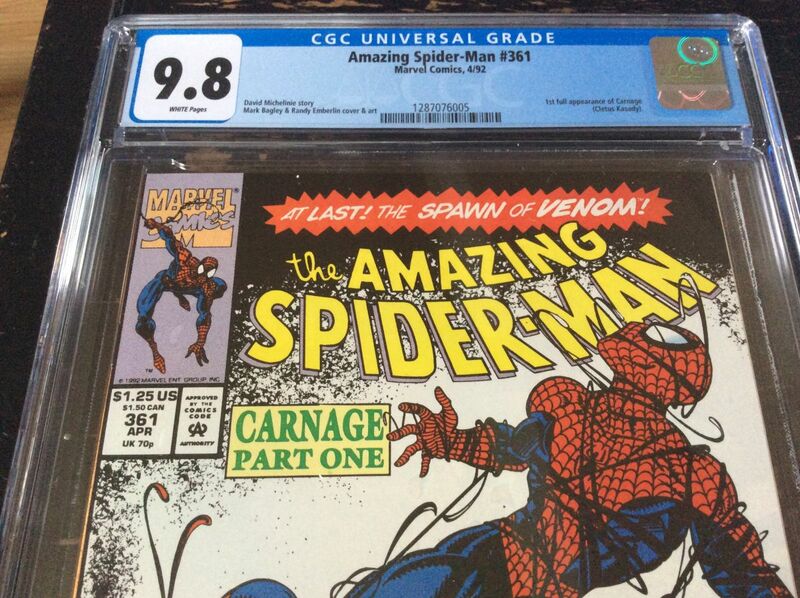 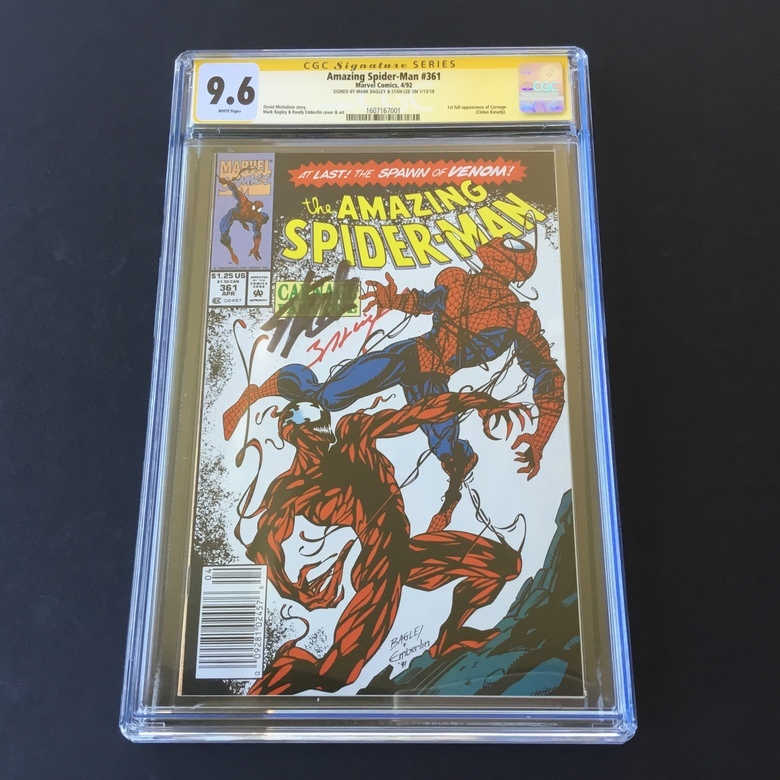 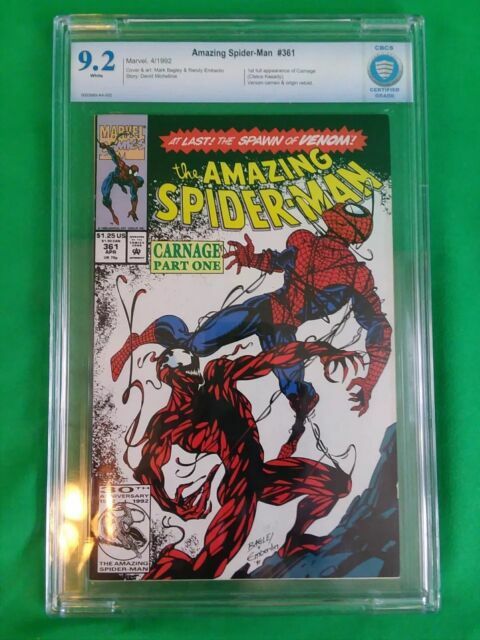 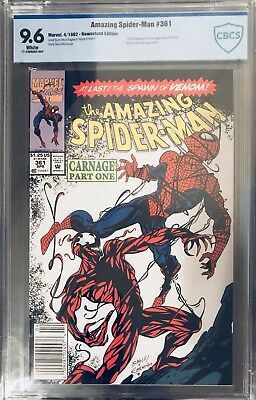 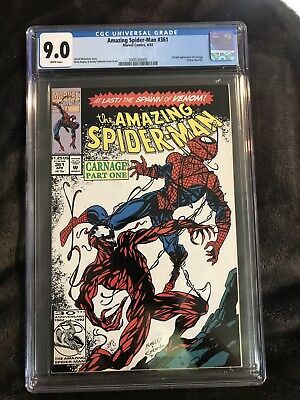 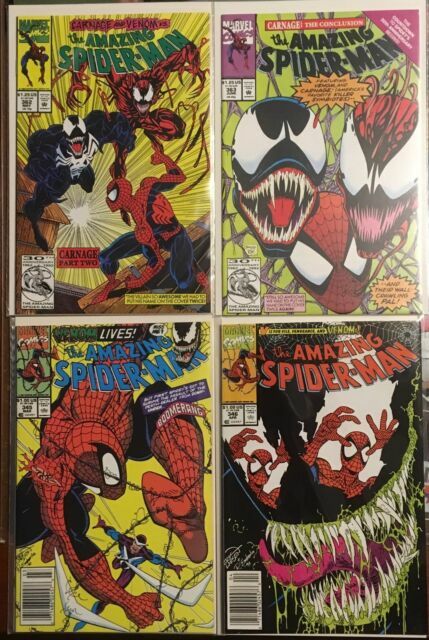 Amazing Spiderman 361 2nd CGC 9.6 - 1st Carnage / Venom Movie! 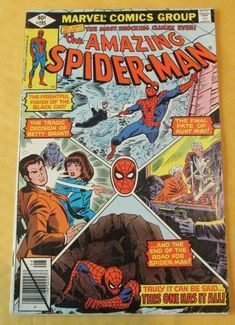 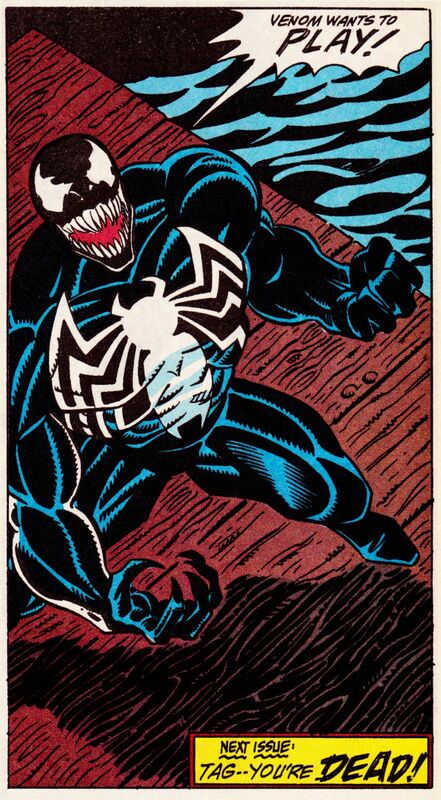 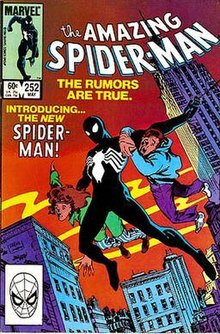 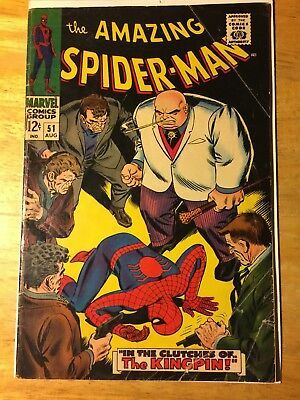 The Amazing Spider-Man #252 (May 1984): Spider-Man's black costume debuts. 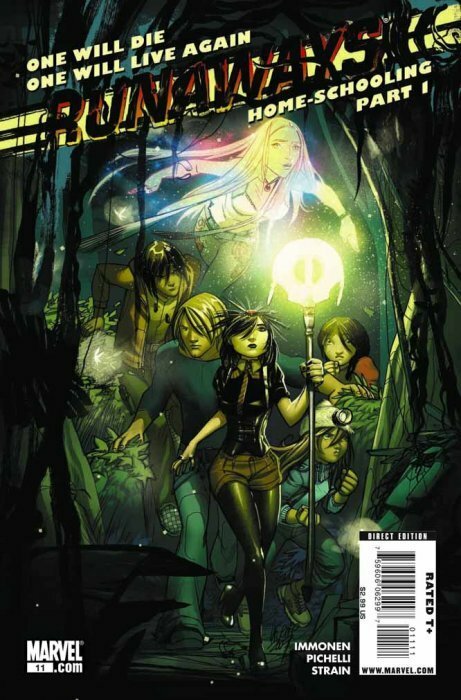 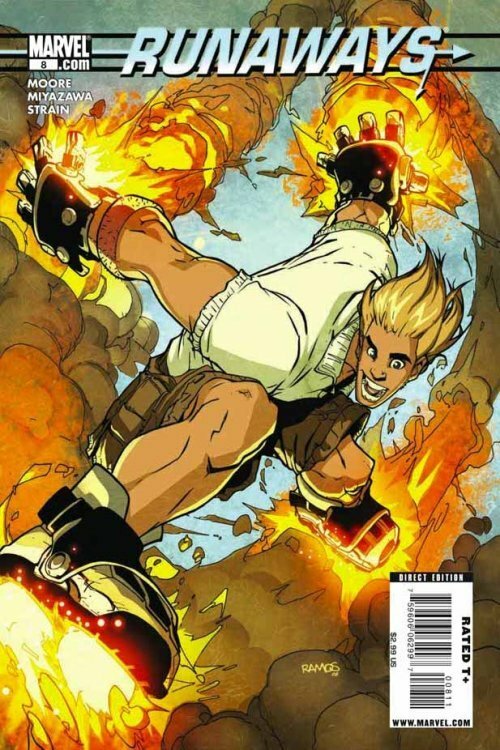 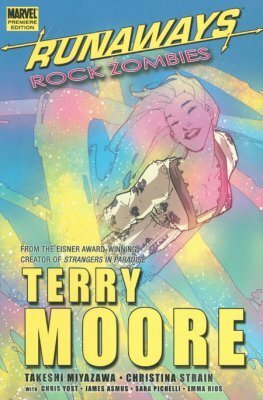 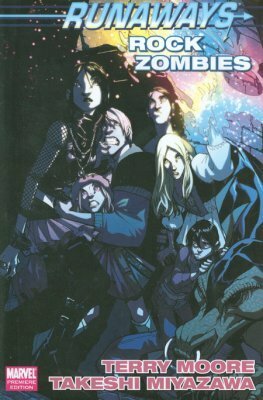 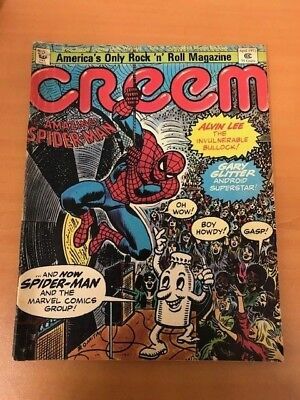 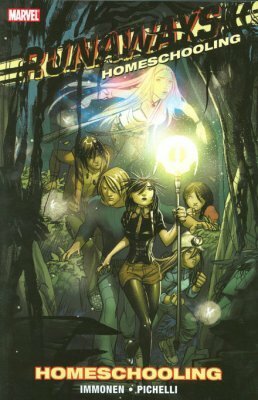 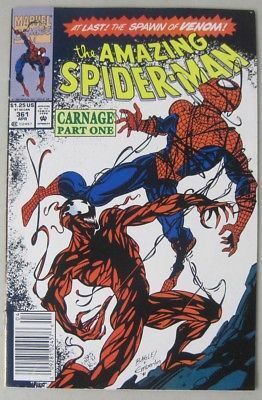 Cover art by Ron Frenz and Klaus Janson. 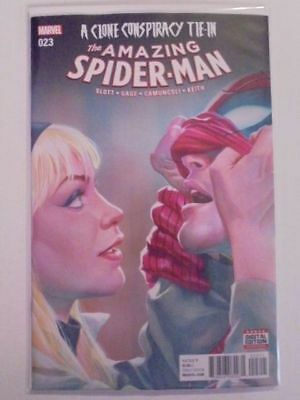 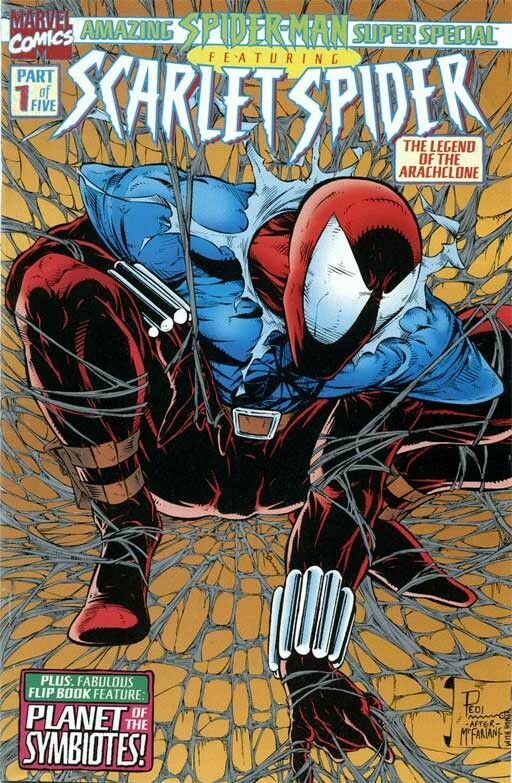 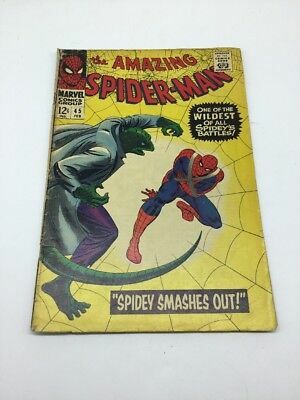 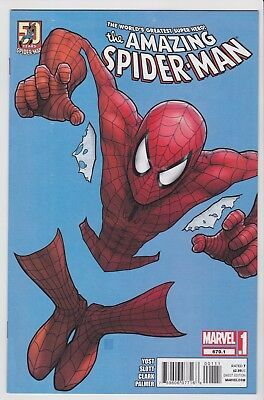 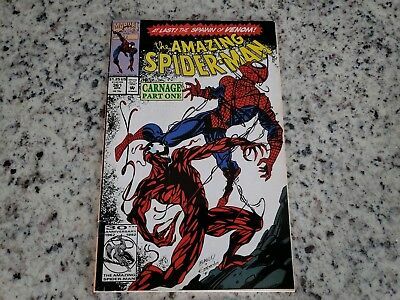 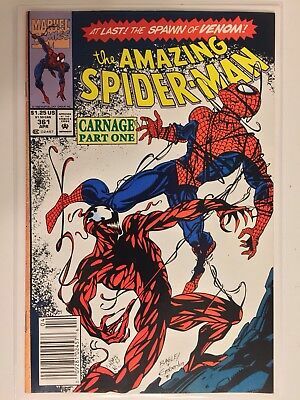 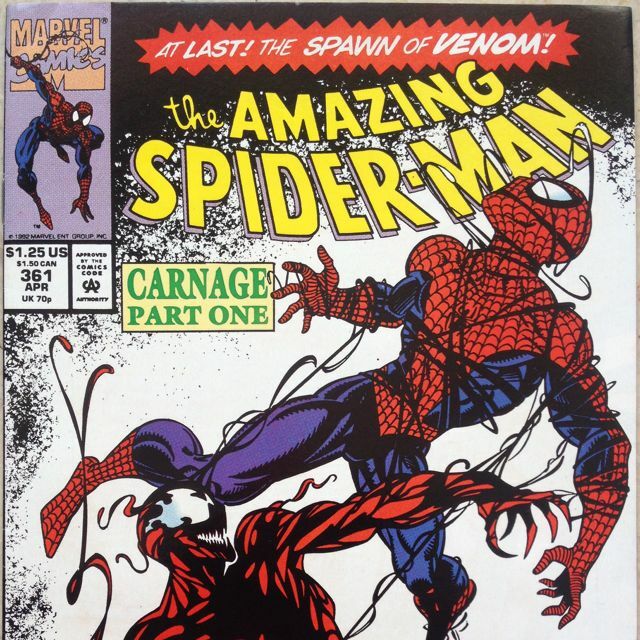 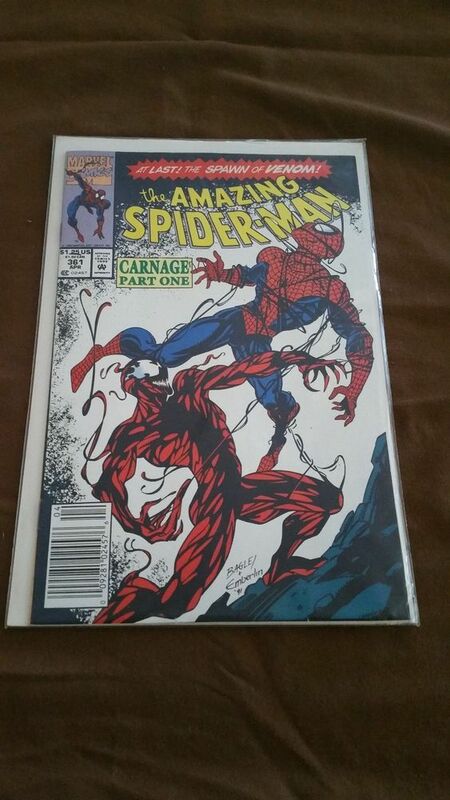 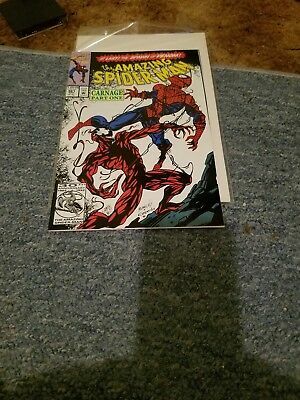 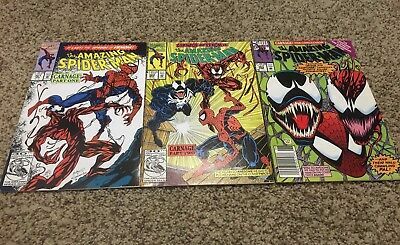 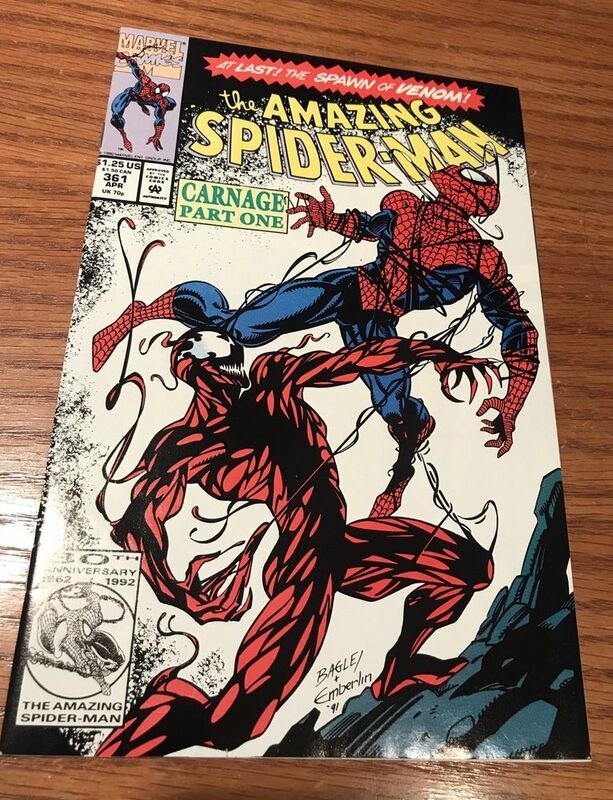 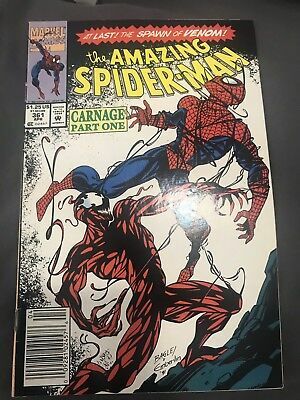 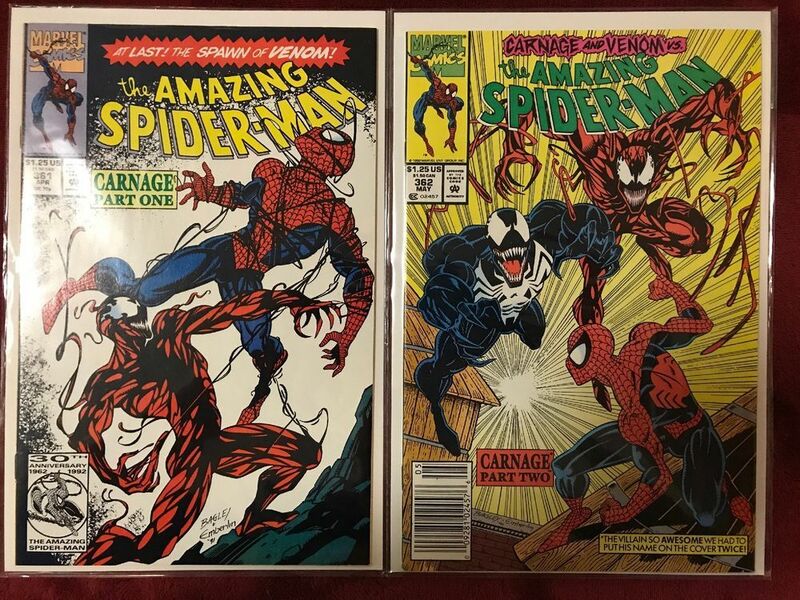 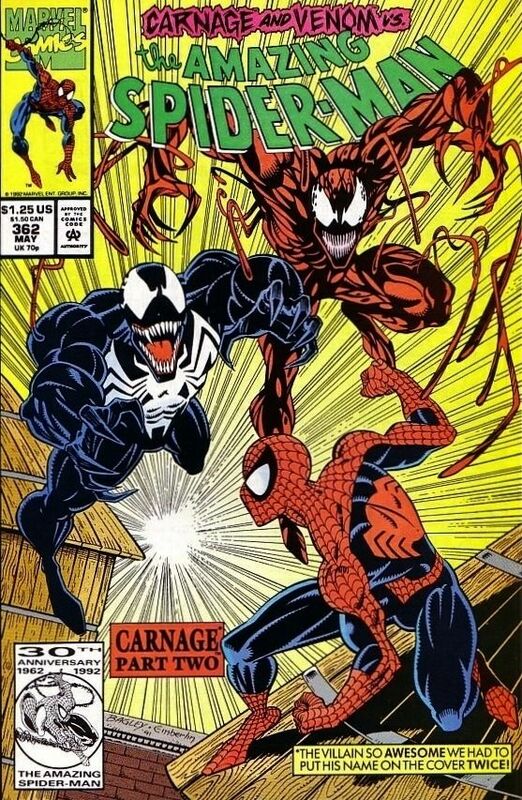 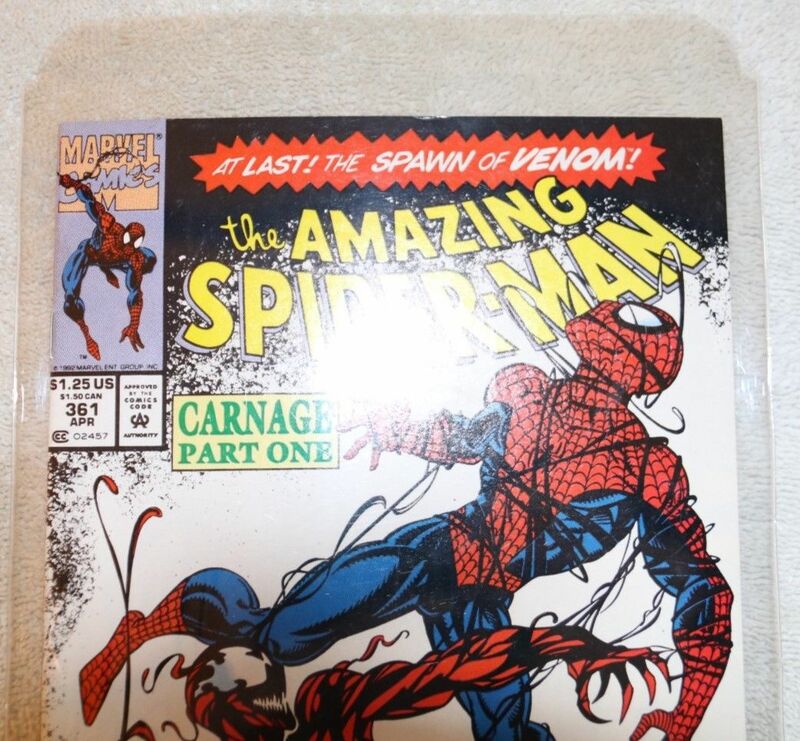 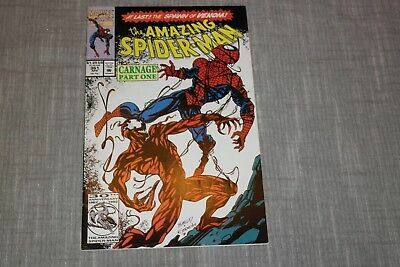 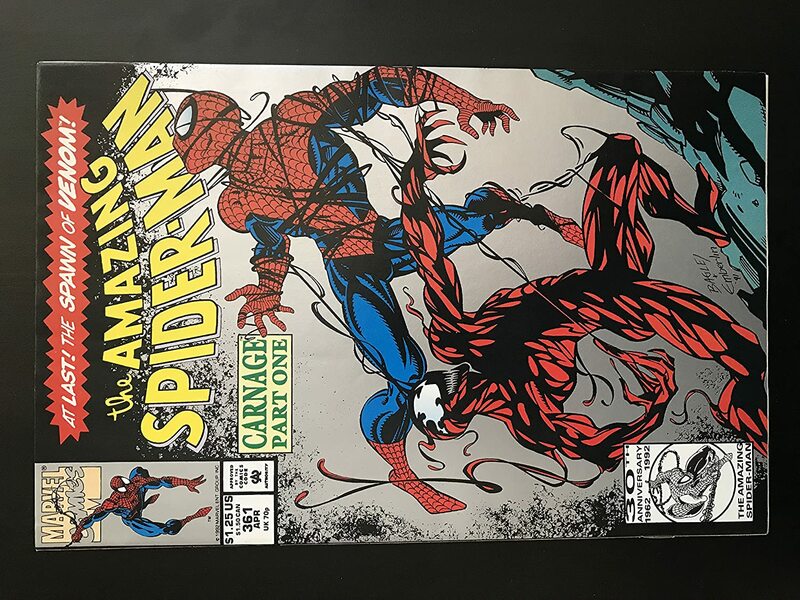 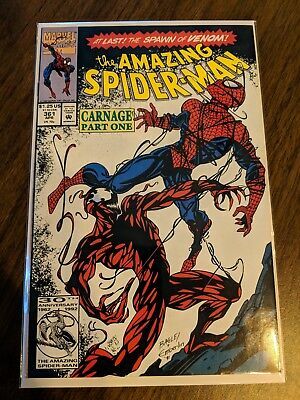 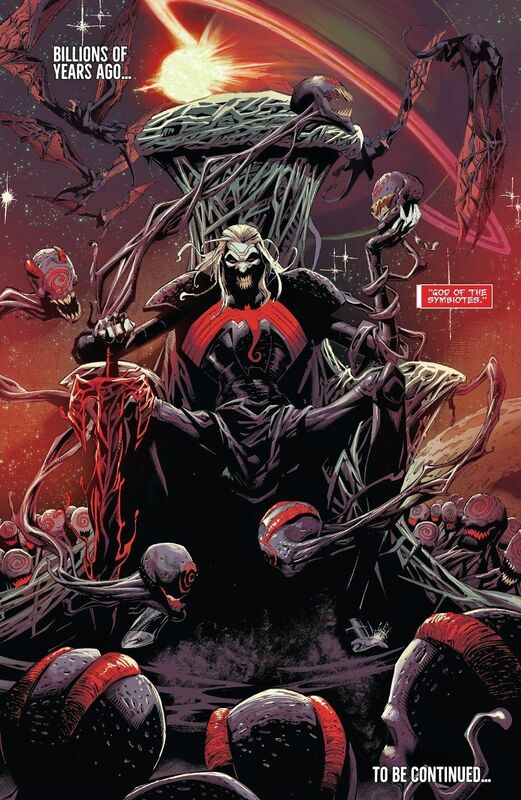 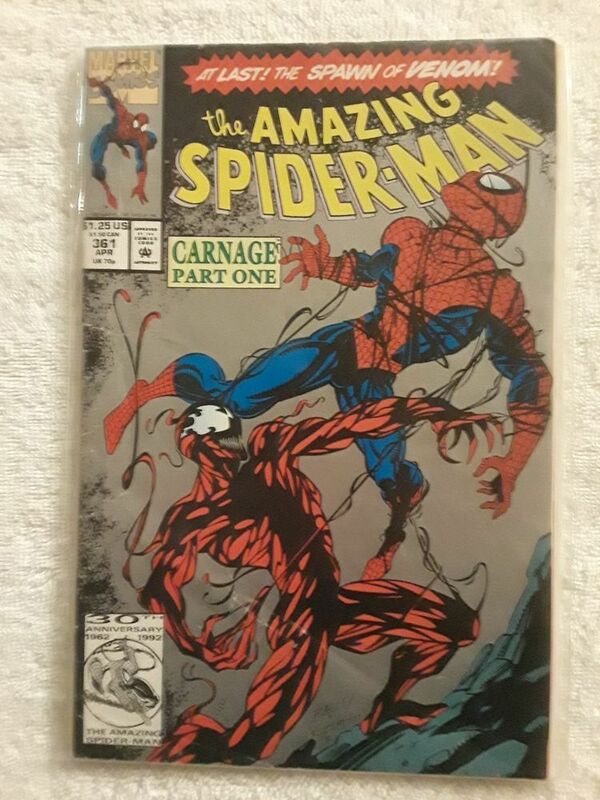 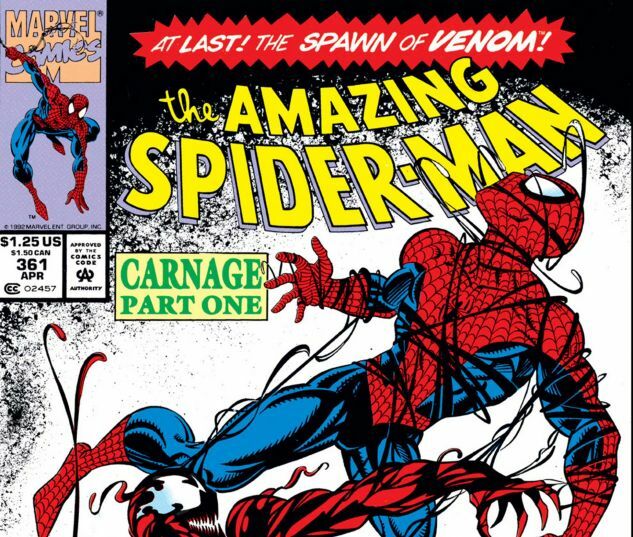 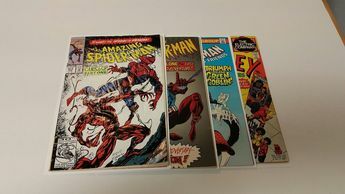 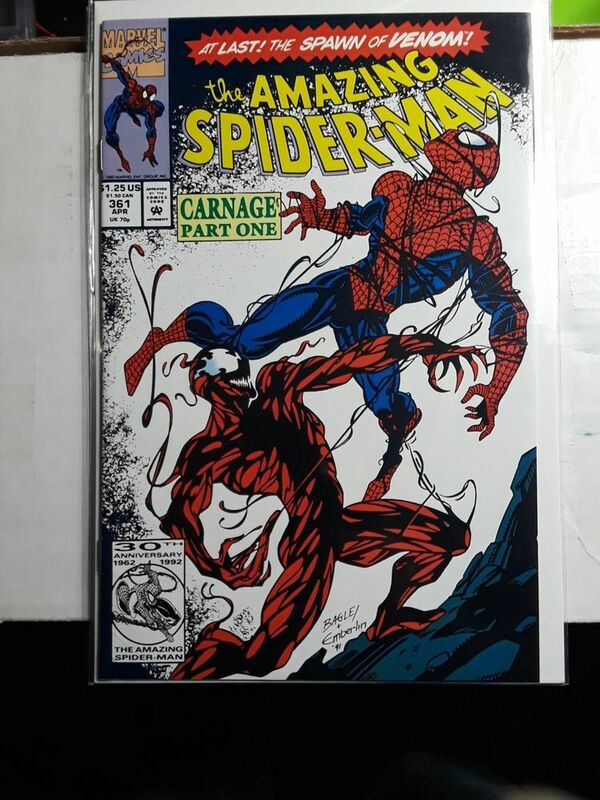 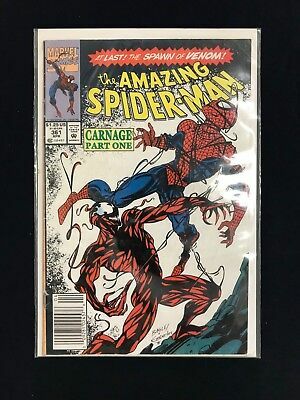 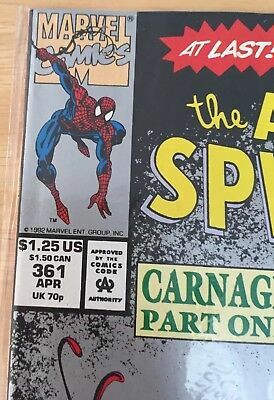 The Amazing Spider-Man #362 - Carnage, Part Two: Savage Alliance!